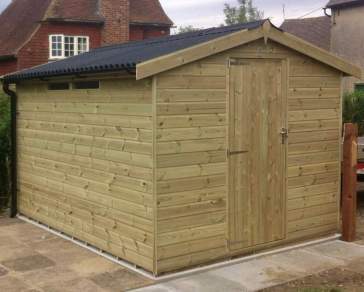 We understand that garden sheds are no longer just used for storing garden tools and equipment, they’re often used as workshops, offices and games rooms where a lot of valuable equipment is stored. 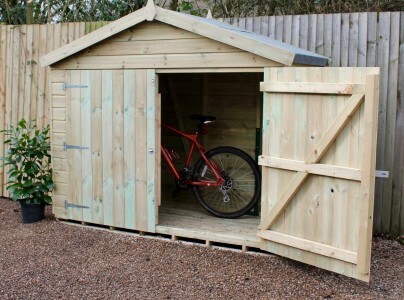 Shed security is often a main concern when it comes to selecting the right shed for your needs - that’s why we have designed a range of security sheds to provide you with peace of mind, knowing your belongings are safe and sound whilst you sleep at night. We offer a range of shed security applications including Solid Brass Padlock, Padbolt & Lock, Squire CombiBolt 2, Neulock Pad Bolts, Squire Keybolt and Security Mesh. Our team members are available to talk you through the process of choosing or designing a Secured shed, get in touch today via telephone or email. If you already know the design and features you want to incorporate your secure shed you can configure and buy it today through our online shop.